Click HERE to make an online donation. It’s quick, easy and secure – thank you! “My name is Angelina, and I am from Oaxaca. My mother had a garden when I was a child, and I remember being happy there. Now, with the skills I have learned from Growing Gardens, I am creating a gorgeous garden for my own children to enjoy. When we lived in an apartment in California, we could not grow food. Now we have a mobile home that I have surrounded in garden beds. My garden is freedom. Caring for it is my time to relax and breathe fresh air. The plants I grow are bountiful, and everyone who sees them is impressed and asks when my harvest will be ready. Growing food has helped my children learn patience. They planted cucumber seeds and every day they watched with excitement as the plants grew. When the cucumbers were finally ripe, they sat in the garden and enjoyed them fresh. Now they love eating all kinds of vegetables from our garden; food they helped to grow. 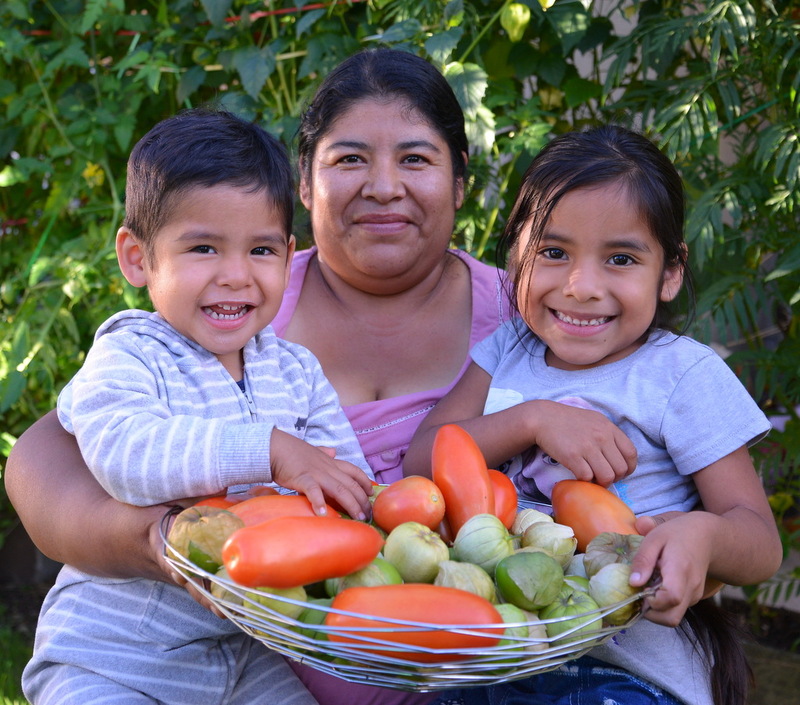 Self-reliance, joy and a child’s love of vegetables – the story of Angelina’s family and her garden – says it all. Thank you for your support!